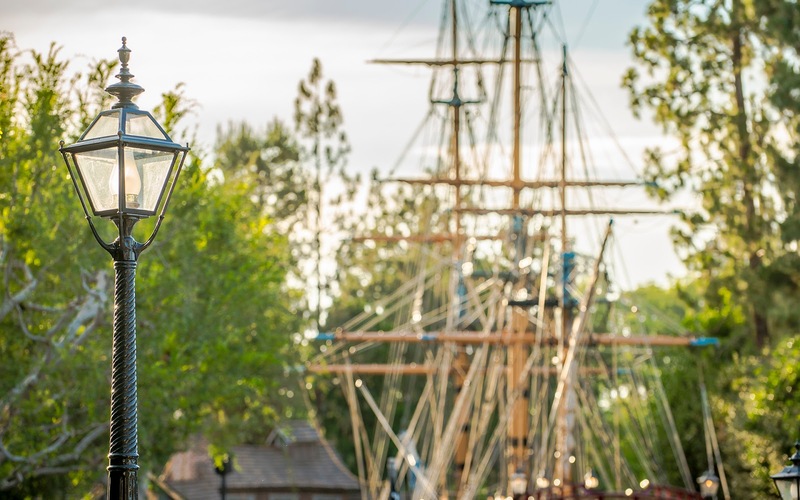 At Disneyland, the Rivers of America provide a rustic journey back to a time before modern technology and electronics, before automobiles, before mass production and rapid transportation. It harkens to the era of westward expansion in the United States, conveying the sense of exploration those first settlers had as they spread across our nation. I enjoy the vibe here. There's that nostalgia toward simpler times, that vision of adventure and bravery, and that recreation of history. It's not exact, of course, but the feelings are there, and it leaves me wistful whenever I stop to ponder the symbolism. A quaint detail in front of the Sailing Ship Columbia.